Desde hace ya unos meses Mpf-sound es instalador autorizado de los sistemas de control de potencia para amplificadores de guitarra a válvulas Power Scaling, sistema diseñado y comercializado por Kevin O´Connor bajo la firma Power London en Canadá. Es por todos conocido el gran sonido que puede entregarnos un amplificador tipo Plexi, por poner un ejemplo, sabemos que estos amplificadores no tienen master volume y son muy difíciles de hacer saturar la etapa de potencia por la brutalidad de volumen que entrega, pero la saturación de un plexi es puro Rock, auténtico y legendario. Cualquier duda preguntad, por favor. 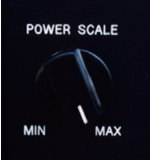 Power Scaling’s goal is to achieve the same tone as one’s preferred “loud sound,” but at a much lower volume. The method can involve one of over sixty distinct approaches, each with many variations. Power Scaling™ is a methodology developed by Kevin O’Connor of London Power. Is Power Scaling simply power reduction? Earlier designers made attempts to achieve effective scaling of power, but never quite got there. London Power refined and fully developed the technology to allow the maximum power of an amplifier to be dialed down to whatever level a player needs. 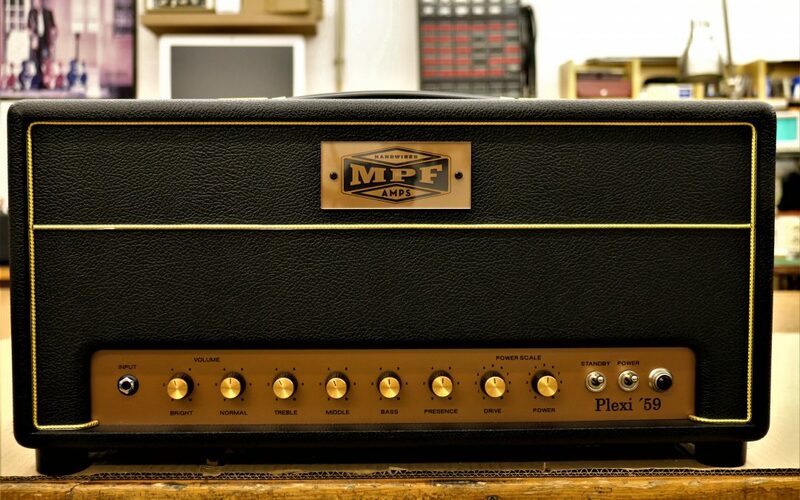 It was first used in the amazing London Power STUDIOamp. Isn’t this just like a speaker load box? • Not at all. Speaker load boxes, speaker emulators, and speaker attenuators are all forms of attenuation interposed between the power amp’s output and the speaker. They work for some people, but are notorious for sounding “buzzy” at high attenuations. A speaker attenuator forces your amp to be run flat out, producing its full power all the time. The power that is not needed is thrown away as heat, with only the required power going to the speaker. It is quieter than full-tilt, but now the speaker is isolated from the amp and cannot interact with it, so some tone is lost. Power Scaling is none of these. The key to Power Scaling is that it is applied to the power output tube stage itself, and so comes beforethe output transformer. Power Scaling allows a dynamic power range over 40dB. Most speaker attenuators alter the tone before they reach 8dB reduction. Minus 8dB is just a little bit quieter than full blast; minus 40dB is literally a whisper. Wouldn’t a master volume do the same thing? • Only in specific situations. If you only play clean or you only use preamp overdrive or distortion tones, then a master volume will satisfy you. Power Scaling is the best solution for players who incorporate some output stage “effect” in their sound. This effect can be light or heavy clipping, or just that cusp of compression you get in a tube power amp approaching clipping. Power Scaling allows you to live at that cusp or beyond, but at ANY loudness you need. So, Power Scaling will help my overdrive sounds. How clean will a Power Scaled amp play? 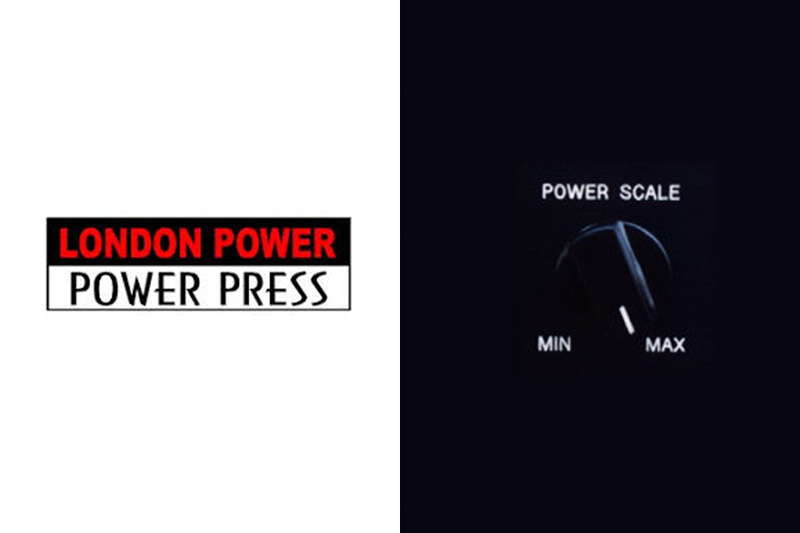 • All London Power Power Scaling amps are designed to provide smooth, sweet, clean sounds up to their limit of power. Set to full power, Power Scaling will not alter the clean sound of your amp. If you set Power Scale to a lower setting, the amp now behaves as a lower-power amplifier with a lower maximum loudness for clean sounds. How does Power Scaling affect tube life? • With the POWER SCALE dial set to any setting less than maximum, tube life will actually be extended. In accelerated tests, power tube life is as long as that of a preamp tube … up to 100,000 hours if the tube is not mechanically upset. Ths is a great attribute for players using NOS tubes (new-old-stock). Output transformer life is also extended, since it is subject to much lower voltage stress even with fully squared output signals and unexpected load disconnection. Can I run a Power Scaled amp without a load, right into a mixer? • Yes. It is perfectly safe to do this, although you lose the benefit of frequency shaping provided by the speaker and the interaction of the output stage with the speaker. The POWER SCALE control reduces voltage and current stress on the output tube, so even at a fully saturated distortion output, the tube is under less stress than it would be in, say, a 3W amp. Couldn’t a low-power tube amp do the same thing? • No. A low-watt amp only has one compression point, one cusp of distortion and one maximum loudness level through a speaker. Power Scaling amps can play both louder and quieter than amps of less nominal power. And, the compression point stays in the same position relative to the cusp point for all settings, allowing the touch responsiveness to remain consistent. How is this possible? Is the circuitry complex or expensive? • In technical terms, all that must be accomplished is to keep the “transfer curve” of the amplifier the same. The transfer curve is simply the relationship between the input and output signals, but as we know, tube amps respond differently to different-size signals. This is because the transfer is not straight and not uniformly curved. Think of the transfer curve as a mirror. A flat mirror, parallel to you, will reflect your image perfectly and full size. If you move the mirror away, the image is smaller but still perfect. A tube’s transfer curve is like a slightly curved or rippled mirror. In this case the image is slightly distorted, but this is exactly what we want – it is why you chose a tube amp in the first place. So, moving the mirror farther away reduces the size of the image, but it is still perfectly imperfect. Electronically, it is very simple and inexpensive to achieve this goal. The diversity of electronic circuits allows countless approaches by different designers, with greater expense added or bulkier components used. In the end, it is all Power Scaling. Does it affect the output impedance of the amplifier? People on the web say Power Scaling changes the tube plate resistance. • No. Because the shape of the transfer curve is maintained, the plate resistance of the output tubes is also maintained. So, the output impedance of the amp does not change even though much less power is available once you dial down. Can Power Scaling be added to any tube amp? Is the circuitry large? • The circuits are simple and small, and are easily retrofitted into existing tube amps. But… the tech performing the installation must be very good at mods and not just a good repair tech – as these are two different skills. Depending on the amp, some heatsinking or a fan might be required to cool the Power Scale circuit. Is the Power Scale circuit just converting the unwanted audio power into heat? • No. If you only need 3W of power, only 3W is produced; if you need 29W, then you get 29W. The simplest Power Scale circuits are soft regulators, and as such, they divide the voltage available from the raw power supply between the amplifier and itself. In that voltage sharing, there will be some waste heat. At POWER SCALE control settings between fully clockwise and about 12-o’clock, there will be waste heat from the Power Scale regulator. At settings between minimum (counter-clockwise) and 12-o’clock, the regulator runs cool. Meanwhile, as audio power is reduced, waste power in the power tubes goes down in direct proportion, which increases their reliability. How does Power Scaling compare to Maven Peal’s Sag circuit? • Power Scaling allows the player to dial the sound down to whisper levels – actually unusably quiet. If you have a detuned speaker cabinet or any other design that extends dynamic linearity, you can play below a normal speaking level. With London Power’s Power Scaling design approach, the player can choose how quiet to play, with typically 44dB of dynamic range – that is 100W down to less than 0.01W. Maven Peal’s designer chose the half-watt lower power limit for their WATTAGE control, so that the player would not encounter the point where the matching open-back combo’s speaker loses its tone at lower volumes. To put this into perspective, most guitar speakers produce 90-100dB of sound, with just one watt of input. Half as much input power only reduces loudness by 3dB, so you are at 87-97dB of sound, which is a loud party level. So, even though Maven Peal has amps that go from 100W down to 1W (20dB range), and 20W down to 0.5W (16dB range), those lower power levels are still fairly loud. To some players, they are “quieter” or “quiet enough”. But it is obvious that a power range that is smaller than these – say, 100W down to 5W – is even less useful at just 13dB dynamic range. The quietest level is still too loud for most players. “Sag” is an inherently signal-dependent effect exhibited by all amplifiers with conventional power supplies. A regulated supply with a very beefy transformer will exhibit much less sag. Sag is merely a voltage drop under loading, which affects the attack of a note. Once the supply sags, its stays sagged and then power-limits the entire signal. Maven Peal products use stiffly regulated power supplies to reduce noise, and thus their amps have no inherent sag effect. Sag must then be added by letting the signal modulate the supply reference. Despite the potential of the system, the limits imposed by the designer restrict the range of sounds, both in the sag effect and the possible power reduction. Power Scaling supplies, in contrast, have a soft-rectifier sound and do not tighten up as you dial down. Diode noise is inherently filtered, and you can play as quietly as you want. “Sustain” is the sonic quality of sag, and London Power uses various Sustain circuits to increase this tonal characteristic. Must I buy a London Power amp to get Power Scaling? • No. There are many amp brands licensed to use our technology and trademarks. Each builder begins with traditional or original audio circuit ideas enhanced by Power Scaling. You can also have your own an amp fitted with Power Scaling by a recommended installer. London Power offers a range of Power Scaling Kits suitable for all tube guitar amps on the market, including vintage amps and new designs. Where can I get help with Power Scaling? If you purchase Power Scaling technology licensing or a Power Scaling kit from London Power, technical assistance is included. The quiet revolution starts here.